Your chances of success go up as much as 50% when filing a claim with an experienced Long-Term Disability lawyer at your side. 1. 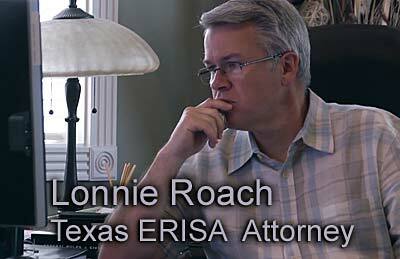 WHAT DOES ERISA STAND FOR? 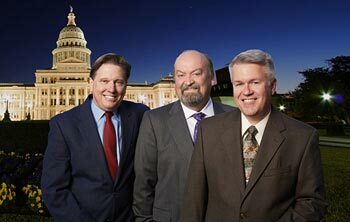 Bemis, Roach & Reed fighting for your rights against big insurance companies. The Employee Retirement Income Security Act of 1974. It was enacted to ensure that employees receive the pension and other benefits promised by their employers, and to encourage employers to provide benefits to their employees. Since its enactment, it has been broadly interpreted to cover most employer-provided benefits, including long term disability insurance benefits. Most Americans today receive their health insurance through “welfare benefit plans” that are governed by ERISA. Life insurance and Long Term Disability (LTD) insurance are also commonly provided as employee benefits, and thus subject to ERISA law. In order to provide a uniform system of regulating employee benefits, ERISA preempts most state laws and regulations that would otherwise govern employer-provided benefits. While this increases efficiency for multi-state employers and ERISA plans by not subjecting them to differing states’ regulations for the same plans, it unfortunately leaves little in the way of regulation for most of these plans. ERISA was never intended to provide the regulatory framework for day-to-day issues such as administering a claimant’s health insurance claim; that job was traditionally done by the states. In the years since its adoption however, most courts have ruled that state regulations, such as the Texas Insurance Code and States’ common law, simply do not apply to ERISA plans. 2. DO I NEED TO HAVE A LOCAL LAWYER? No, insurance attorneys with specialized knowledge in ERISA law and long term disability insurance law are far more likely to obtain the maximum Social Security disability and other disability benefits than a local lawyer without the same experience. Our clients find it very convenient to work with us by telephone and e-mail on a regular basis. If you have been denied disability benefits, you can raise your odds of prevailing by working with a skilled attorney like the insurance attorneys at the disability law firm of Bemis, Roach & Reed. Our law firm’s office is located in Austin, Texas; we represent individuals throughout the State of Texas helping them obtain and recover their needed long term disability and social security disability benefits. 3. UNDER WHAT CONDITIONS WILL THE LONG TERM DISABILITY INSURANCE COMPANY HAVE TO PAY MY ATTORNEY’S FEES? 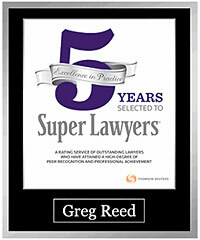 If your case goes to trial and you prevail, a court can make an award of attorney’s fees. Remember, different parts of the country have different rules as to grants of attorney’s fees. It is also possible to obtain an allowance for such fees in mediation, though that amount is generally incorporated in a “lump sum” settlement. 4. IF I AM INVOLVED IN A LAWSUIT, HOW LONG WILL IT TAKE TO REACH A CONCLUSION? The reality is that most long term disability cases settle, but every case is different. Cases that settle may take 6-12 months, depending on where you are in the appeals process. If the case goes to trial, expect the matter to take more than 12 months, especially if there is an appeal to the Circuit courts.